Your team loses when the Ancient at the center is destroyed. Lots of the mobs have been taken from world 1 and remastered for the new siege! On legend difficulty, the waves never end and just keep getting progressively harder. 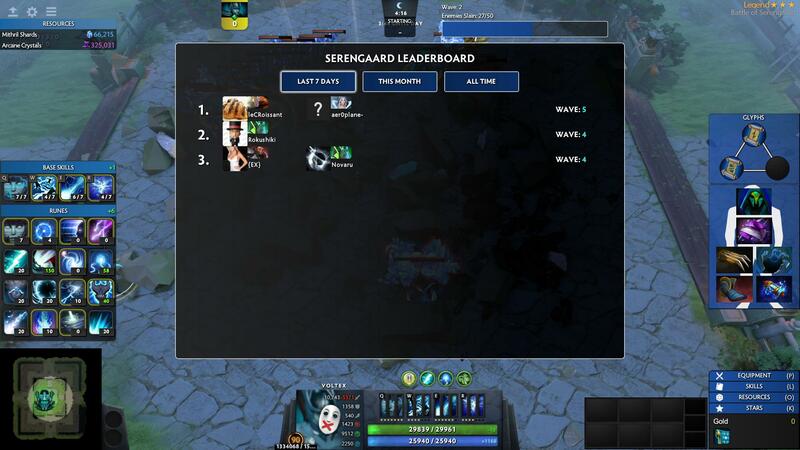 In order to determine who is truly the most powerful Champion, the battle of Serengaard has a leaderboard for the teams that reach the furthest wave. Beating wave 30 on legend grants a consumable item to your entire team that lets you skip the default waves and go straight to the infinite part. 5 items that were inaccessible due to world 1 now drop in Serengaard - as well as 2 new unique items.